I visited eight countries and crossed an ocean in these shoes. On a first date with one of my now close friends, I was invited to her home in South Africa, I could not turn down an invitation like that. I went searching for a good pair of shoes – which in my estimation should be reliable, look good, and make you forget you're wearing shoes at all. These Merrell trail shoes fit the bill. Over the next couple of years I wore the soles smooth – making new friends in faraway places, on pub crawls, dirt trails, on farmland and pasture, workaway construction projects, climbing vertical rock faces, dancing in small-town festivals, piloting helicopters, crewing on sailboats. I learned local folklore, flourished through romance, explored untouched forests, caught fish and tended fires, suffered through heartbreak – I feel these shoes have seen me live more life than any other pair I've owned. While sailing home across the Atlantic I tended to them with duct tape and glue, new laces and wax. 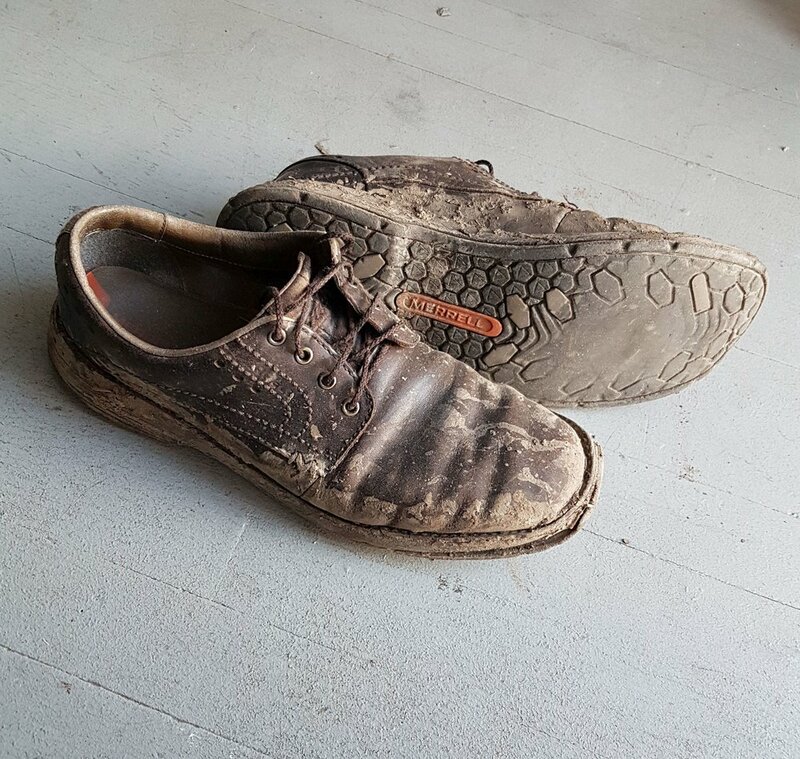 Now that the treads are gone and the leather is like a second skin, they have earned their retirement.